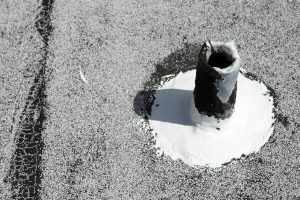 A rubber roof membrane, or rain roof, on an outdoor walk-in cooler or freezer, is intended to prevent water from leaking to the inside of the box. These roofing systems are typically installed after the walk-in unit has been constructed or built on-site. 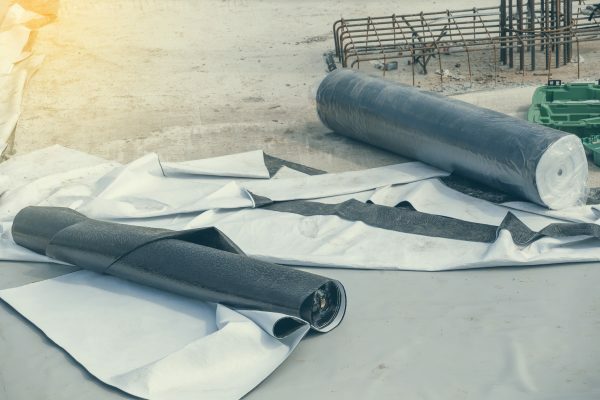 Installing the roof membrane requires an outside contractor, an installation kit, and messy glues in order to seal the membrane to the unit. They are used because most walk-in coolers and freezers are constructed with metal panels being simply screwed together. This leaves a number of seams and screw holes on both the sides and the roof of the unit. With seams and holes comes water, and with water comes problems with your walk-in unit and the inventory stored inside of it. Eliminate the need for a rubber roof membrane, with Polar King walk-in coolers and freezers. Polar King seamless fiberglass outdoor walk-in coolers and freezers remove the need for costly roof membranes and the regular maintenance associated with them. All Polar King units are constructed with a seamless fiberglass design in which foam insulation is completely encased in fiberglass, both inside and out forming a one-piece unit. This includes the floor, sides, and roof of the unit. All Polar King walk-in units are constructed and designed specifically for outdoor usage and can withstand even the most extreme elements and conditions. All of our walk-in coolers and freezers are delivered fully assembled and require only a simple electrical connection to put them into operation. This means no outside contractors or delays related to putting a rubber roof membrane on the unit. As the industry’s #1 manufacturer of seamless fiberglass outdoor walk-in coolers and walk-in freezers, Polar King units are designed to endure even the most rugged conditions and climates. With a 100% seamless fiberglass design, Polar King offers the industry’s only one-piece, outdoor unit. To learn more about the fiberglass advantage, or for more information, contact Polar King today!